On Tuesday of last week we left our first host to head a bit further south. We were planning on taking the bus, but while we were waiting at the bus stop a car, going the opposite direction, slams on the breaks, does a u-turn, and asks if we need a ride. While I was still thinking about how stupid it would be to accept the ride and beginning to say, “No thank you,” Liza says, “Sure!” and hops in the car. The lady was very nice and asked if we wanted to stop for lunch or needed to go shopping or anything. She actually seemed a bit a little overly spontaneous. She dropped us off at the train station and stuck to her word not to kill or rob us. We’re now staying on a property that the host recently bought and wants to eventually grow most of his own food on. That means that there are a ton of fun big projects to do. 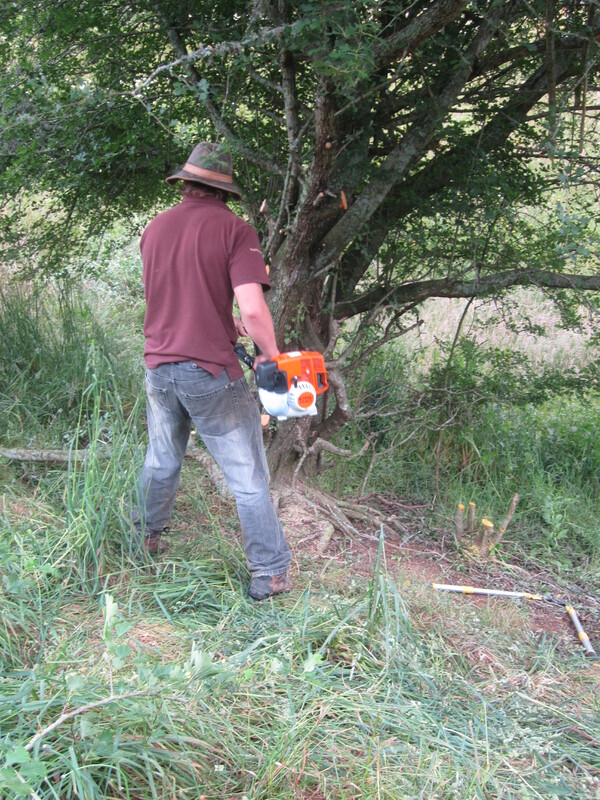 I cut down my first tree today and that was really fun! For my birthday/Christmas my mom gave me an “Action Camera” that straps onto your head, helmet, or a bike handle. I rigged it up to the chainsaw hoping to get some awesome footage, but what I got instead was shaky and not that interesting. These hosts are everything we could have asked for! 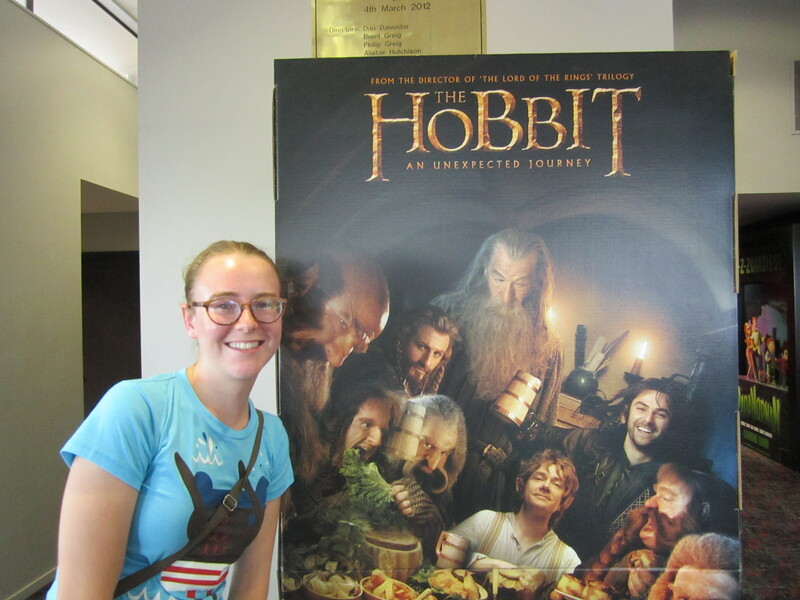 They are very friendly, seem interested in our lives, and drove us to the theater two days ago so we could see the Hobbit before it came out in the US. They are vegetarian, though. I think the biggest problem with vegetarian food is calling it, “vegetarian food.” They have made sure we are not going hungry! Everything we’ve eaten has been delicious and filling. I was nervous about eating vegetarian sandwiches that weren’t PB&J’s, but they make their own bread and I put avocado, butter, cheddar cheese, and mushroom on mine, and its delicious! Tuesday we’re leaving here and heading for Matamata, home of the Shire so I’ll keep you posted on how that goes!